[prMac.com] Warsaw, Poland - 123 Kids Fun Apps today is proud to announce the release of 123 Kids Fun BABY TUNES for iOS and Android, a music and sound application for children ages 1 to 3 years old. Welcome to a unique world full of sights, sounds and animations! Few words for teachers: Baby Tunes is a music and sound app with enormous entertainment and educational value. You can use it to help preschoolers learn, elicit, and remember the names of 50 different objects from both or either sight and sound. Just plug in an AV converter to your iPad 2 and above or an iPhone, connect it to your digital projector and you've got a great tool to revise vocabulary, or an element in your overall reward system. We have dedicated a great deal of thought and time into Baby Tunes because we wanted something to give to our own children that would be delightfully entertaining as well highly educational; We now pass it along to you. And, a few words for parents: Baby Tunes is a music and sound app which wows and entertains babies (ages 1 - 3) for hours on end. Playing with the toys in our app will spark their curiosity; soon enough they'll ask for, practice and remember the names of more than 50 objects that they'll come across and learn during their early years at school. What makes our app different? We've put a lot of thought into making Baby Tunes because we wanted a game which will be memorable, lovable and long lasting for our own children, and we'd like to share this with you. Do you remember that one book? That one book that you absolutely loved as a baby? We believe baby tunes will be our babies' classic "book", and we believe Baby Tunes can be that app for your baby boy or girl too. Children, from very early on, listen to the sounds surrounding them and try to imitate them. Onomatopoeic words, which are words formed from the sounds animals and everyday objects make, play a huge role in speech development. Thanks to these words, children can communicate with parents and people before they even start to speak. Our application, filled with delightful animations and sounds of animals, toys, appliances and the gadgets we see and use in our everyday lives, teach these words to children. 123 Kids Fun BABY TUNES (Free App) 1.4 is available worldwide through the App Store in the Games category. The full version of the app is only $1.99 (USD). There is also an Android version available on Google Play. 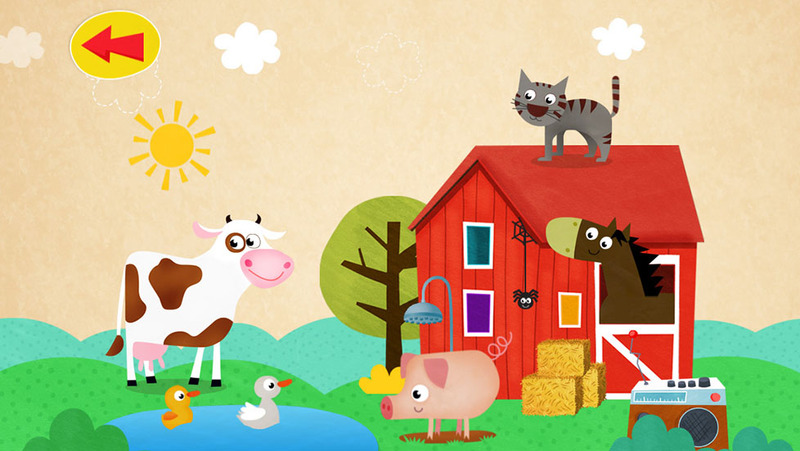 123 Kids Fun Apps are a collection of iOS and Android Apps for Kids. Our apps are entertaining, but more importantly, they teach at the same time. We pride ourselves in creating fun, beautiful, well designed and easy to use apps. We share a passion for children, music, education, design, and play. Our goal is to create the highest quality games for toddlers and preschoolers for smartphones and tablets. We are proud to say that we make fun and smart educational games that are not only effective, but entertaining. We make games that let kids explore and discover, games where there are no wrong moves, but where the right move will reveal, reward, and teach. Copyright (C) 2003-2014 RosMedia. All Rights Reserved. Apple, the Apple logo, iPhone, iPod and iPad are registered trademarks of Apple Inc. in the U.S. and/or other countries. Other trademarks and registered trademarks may be the property of their respective owners.